Cadbury Creme Eggs would surely have to be one of the most popular Easter eggs. There is just something about them. While I do love Creme Eggs, I find the ordinary sized eggs to be a little on the big side; they are way too sweet for me to eat in one go. That’s why I love the mini Creme Eggs. They still have the taste of the large eggs, but in a much smaller version. I picked up a bag of mini Creme Eggs and decided to turn the bag into a delicious Easter treat. 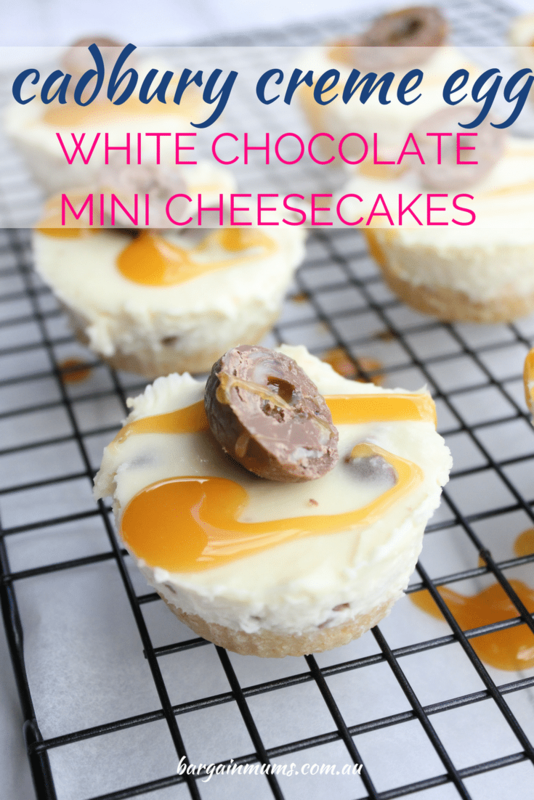 That’s how these Cadbury Creme Egg White Chocolate Mini Cheesecakes came about. These cheesecakes are made with my never-fails, no-bake white chocolate cheesecake recipe. I made the basic cheesecake mixture, then folded through half the packet of roughly chopped Creme Eggs. Once the mini cheesecakes had set, I topped each cheesecake with half of a mini Creme Egg. I didn’t plan on originally topping the mini cheesecakes with caramel sauce. I wanted to add a little extra colour to the cheesecakes ready to photograph them so I drizzled the cheesecakes with some caramel sauce I already had in the fridge, but it turns out the drizzle of caramel sauce finishes off the cheesecakes perfectly. They taste amazing! Prepare 2 x 6 hole muffin pans by lining each hole with a cupcake case and setting aside. Crush the biscuits in a food processor, or if you don't have a food processor, place the biscuits in a closed zip lock bag and bash with a rolling pin until crushed. Mix the crushed biscuits with the melted butter until well combined. Divide the mixture between the cupcake cases (I didn't use all of the biscuit mixture, but if you want a thicker base feel free to use it all). Press the mixture down firmly in each case with the back of a spoon. Add the cream cheese, thickened cream, white chocolate, sugar and vanilla extract to the bowl of a stand mixer. Beat until smooth. Dissolve the gelatine into the boiling water and add to the cheesecake mixture. Beat once again until well combined. Roughly chop half the packet of Creme Eggs and fold through cheesecake mixture. Divide the cheesecake mixture evenly between the cupcake cases. Place in the fridge to set. Once set, half the remaining mini Creme Eggs and top each cheesecake with one half. 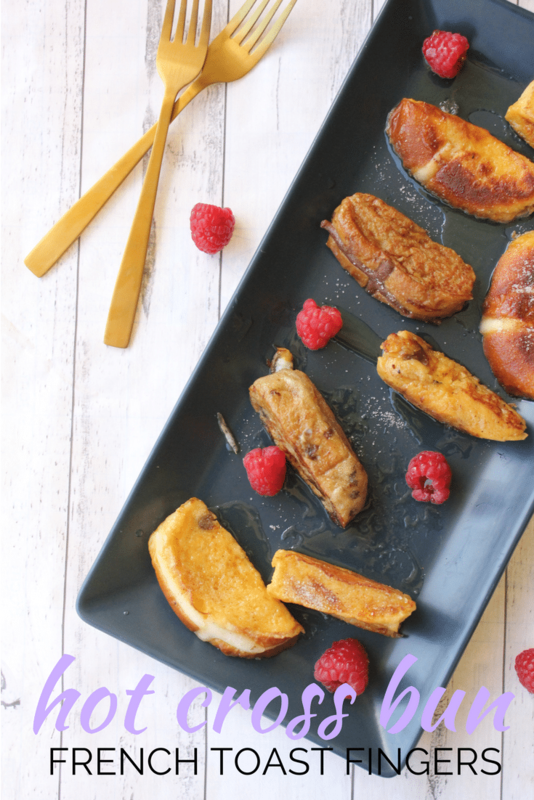 Drizzle with caramel sauce and serve.